Thank you for subscribing to "Your Health Success" ezine, delivered free to your inbox every month. A reminder: I have published a book of "How To Live to 100" that is a thank you gift to all my new subscribers. So if you haven't already done so, just go to the bottom of this ezine and click on the link there and you will be able to download it to your computer instantly! Fr'ee ebook download "How to Live to 100"
If you ever decide that you want to unsubscribe, you will find the link to do so at the bottom of this page. Try to work out as much as possible, but at your own pace, and reward yourself. But not with a snack, by putting a certain amount of money in a jar, for every time you work out. The more you work out the more money you save. Then go on a shopping spree, and buy yourself a new wardrobe for your new thin, and trim body. Keep healthy foods handy like fruit or vegetables in the fridge. Eat only if hungry. Ask yourself how many times have you started a diet & where would you be now if you had just stuck to one of them? "One is happy as a result of one's own efforts, once one knows the necessary ingredients of happiness - simple tastes, a certain degree of courage, self-denial to a point, love of work, and above all, a clear conscience. Happiness is no vague dream, of that I now feel certain." Tips for Dealing with Chronic Pain. No matter where your pain is coming from, if you're a chronic pain sufferer it can be truly difficult to maintain a healthy day-to-day life. However, there are many things you can try that may make it easier to cope with the pain. You might even find that your pain has lessened with certain techniques that have nothing to do with prescription medications. Once you realize how powerful your mind is, you can teach yourself to cope with pain so it doesn't become the focus of your life. 1. Engage in activities that you find relaxing. Find something that will help you ease and loosen your muscles. No matter what kind of pain you're experiencing, if you tense up your body, it only makes the pain worse. Grab some alone time so you can engage in meditation. Start by taking deep breaths and clearing your mind. Avoid placing specific focus on your pain even if you're tempted to do so. Instead, make it a point to visualize pain relief. Affirmations are a great way to communicate positively with your subconscious. Tell yourself that you're in good health and that you've found pain reduction and you may be pleasantly surprised at what you can achieve with just your mind. You can enlist the help of a hypnotist or become skilled in the art of self-hypnosis. You can achieve some seemingly impossible feats just by having the proper focus and thought patterns. 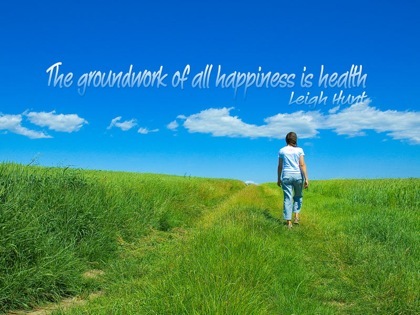 Hypnosis may use some good health affirmations while your mind is in a relaxed and accepting state. With hypnosis, you may even begin to feel better before your conscious mind is aware of it! 5. Exercise to strengthen muscles. Depending on the type of pain you're having, exercise may be able to relieve it. For instance, there are muscles you can work through exercise that can lessen back pain. For best results, stay on a routine and remember that exercise is usually toughest at the beginning, but it gets easier the more often you do it. Of course, consult with your doctor before starting an exercise routine. 6. Engage in physical therapy. There are many excellent physical therapy treatments that can relieve your pain. A combination of exercises and pain-lessening equipment can bring you great relief. Your physician can refer you to a good physical therapist. The Emotional Freedom Technique (EFT) can show you how to remove mental and emotional roadblocks that could be causing or worsening your pain. EFT can be applied to many aspects of your life, and chronic pain is no exception. There are many online materials available to help you study EFT Therapy. No one wants to live life in pain, but these simple pain relief strategies can really help you enhance your quality of life. By taking a holistic approach to your pain, you're more likely to find a healthy balance and a life filled with greater joy, wellbeing, and happiness!
. You may reprint this article, electronically in free-only publications in it's entirety in an Ezine, blog or web site.
. You may not use this article in Unsolicited Commercial Email.
. Whenever this article is used, it must include the above authors byline with an active link back to our web site. Yummy Smoothie Recipes! Here are a few tasty smoothies sure to curb your sweet tooth and fill you up. Note: When making fruit smoothies, adding some protein powder or healthy nutritional supplement powder to these recipes help to make them superfoods! In 2012 I began co-writing a book about the CFS therapies that had worked for me and my clients. 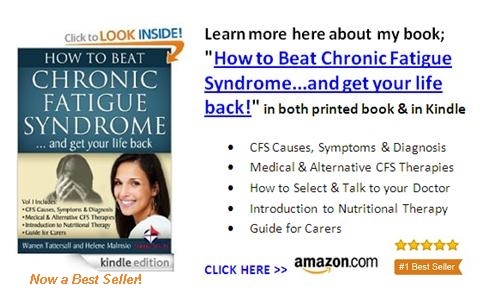 The book fully explains all the most popular and effective therapies and treatments that are most effective in beating chronic fatigue syndrome. There are many methods and processes that you can try out for yourself to discover the ones that resonate best with your lifestyle and personal philosophies. The inflammation-fighting effects of omega-3 fatty acids may be the key behind fish’s heart-healthy benefits, according to a new study. Researchers found inflammation markers, such as C-reactive protein and others, were up to a third lower in people who ate at least 10 ounces of fish per week compared with those didn’t eat fish. The more fish the people ate, especially fish rich in omega-3 fatty acids such as salmon, mackerel, and tuna, the lower their level of markers of inflammation in the bloodstream. Omega-3 fatty acids are a type of unsaturated fat that has been shown to reduce the rates of heart disease and death from heart disease. The mechanism behind this action is unknown but studies show that they reduce inflammation. Inflammation within blood vessels plays a key role in the development of atherosclerosis -- a risk for heart disease and stroke. Therefore, researchers say the anti-inflammatory effects of the omega-3 fatty acids in fish found in this study may explain why fish is healthy for the heart. I naturally recommend that the fastest and most convenient way to get your Omega3 for optimal health is to simply take our LifeLine capsules! 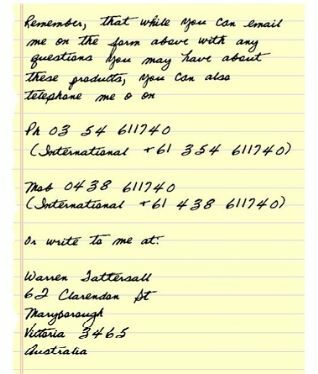 Simply email me if you would like to know more about this powerful natural product Contact Us with “LifeLine” in the subject section. Enough flour to form a paste (approximately 1/4 cup). Feel like snacking on an apple? With so many delicious varieties available, you can bite into a fresh, crisp apple and have a joyfully different taste adventure every day of the week. •	Pack an apple in your brown bag lunch. •	Include a colorful variety of apples on your picnic menu. They have great keeping qualities and will do fine without refrigeration for the day. •	Add chopped apples to your tossed salad. It adds little bursts of sweetness and makes salad special. •	Slice apples and enjoy them with a nut butter spread. •	Add crunch to a fruit salad with diced apples. •	Make a vegan Waldorf Salad with diced apples, diced celery, raisins, and vegan mayonnaise. •	Apples and a savory creamy vegan dip make great partners at a party. •	If you are fortunate enough to have a juicer in your kitchen, you can enjoy fresh apple juice throughout the year. •	Start your day with an unbaked apple. In a bowl, combine raisins, nuts, chopped dried pineapple, chopped dates, and sprouted buckwheat. Core the apple, fill the cavity with some of the fruit-nut mixture, and surround the apple with the remainder. Enjoy this breakfast dish with a knife and fork. A group of seniors were sitting around the pool in sunny Florida talking about all their ailments. "I couldn't even mark an 'X' at election time, my hands are so crippled, "volunteered a third. "My blood pressure pills make me so dizzy I can hardly walk," exclaimed another. "I forget where I am and where I'm going," said an elderly gent. Thank you for joining us this month, I hope that you have found some extra motivation and inspiration to achieve lifetime optimal health!